“Mechanization of farming through irrigation is progressing well and we will be providing subsidized drip irrigation technologies to small scale farmers to achieve the big four goal on food security,” Kiunjuri remarked. He spoke in Nairobi during the launch of a revitalized school feeding program targeting arid and semi-arid regions that will be implemented by ministries of education, health and agriculture. Kiunjuri said the government has prioritized expansion of acreage under irrigation to cushion the country from food insecurity linked to climatic shocks. “Our goal is to reach a 50 percent target of land under irrigation by 2030 to address perennial hunger in semi-arid parts of this country,” said Kiunjuri. “The government has mobilized funds to provide solar powered water pumps for small-scale farmers to enable them to irrigate land. 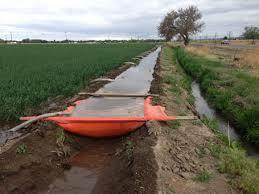 Water pans have been constructed in arid regions to expand acreage of farms under irrigation,” he added. The CS said the governments will fast-track construction of additional mega-dams in the arid regions to boost crop and livestock production. “We have an opportunity to harness flood waters in this rainy season and preserve it in large and medium sized reservoirs for future use in agriculture and manufacturing sectors,” said Kiunjuri. He revealed that the central and county governments are conducting an assessment on losses incurred by farmers and pastoralists due to flooding experienced in this long rain season. The Kenya Red Cross in its latest update says that more than 120 people have died as a result of floods that have also wreaked havoc on farms and grazing lands. Abbas Gullet, the Secretary General, Kenya Red Cross said at a media briefing last week that the country was likely to experience food insecurity as raging floods wipe away key staples like maize, legumes and vegetables in both arid and high potential regions.